The holiday season is a lot of things. It’s a lot of good: family, togetherness, tradition, but it also can be hard. It’s a stressful time and the heavy commercialism, unrealistic expectations, and overall business of the season can take its toll on even the heartiest of us. Past the life stress, there is the changing seasons, lack of sunlight and toll that seasonal depression takes on some. We also tend to overindulge, more drinking, more eating, more parties. One study showed 63% of people reporting they experienced what is called ‘The Holiday Blues’[i]. The wonderful thing about practicing gratitude is that there are so many opportunities, no matter who you are or where you are in life, to find moments to be thankful of. Little things like someone holding a door, what a nice day it is, or how delicious your morning latte was can be a great way to start. It’s easy to focus on the negatives in a day, the stepping on gum, losing a client etc. believe it or not, we are actually programmed to focus more on the bad stuff, which is called a negativity-bias. In evolutionary terms, negativity-bias helped protect us from dangers in our environment[iii]. As we are less likely to gored by a woolly mammoth or eat poison berries, working to de-program our brain’s desire to remember the bad and rewire to focus more on the good, will really change how we live our lives. To get started, look at the bigger picture, think of all the things that you have, that you appreciate and may take for granted. Basic security is a good start: being grateful for a roof over your head, clean water, food. Be thankful for the opportunities you’ve had, the teachers who’ve supported you, the bosses who helped your career. And reflect on all those you can count on. Appreciating all that you have and focusing less on what you don’t does wonders for lifting spirits and shifting perspective. Spending a little time each day, maybe even listing the good things and people in your life, especially during moments of difficulty can make a world of difference. In times of real hardship, the list need not be filled with big elaborate things, simply reflecting on the pleasant temperature, your dog, or the smell of fresh laundry may be enough to elevate your mood a few notches. Some find keeping a journal of gratitude is a nice way to reflect on all the positive moments that can easily slip by, overlooked and underappreciated. Doing this sort of work at home is a good start and then taking the practice out into the world and sharing kindness is the next step. Saying thank you openly and honestly, being thoughtful of others, and being a positive presence in someone else’s day takes the mindful reflection to the next level. Being the change you want to see in the world and the thing that may have improved someone else’s day is a great way to pay it forward. Taking time to reflect on yourself is also important. We are often hardest on ourselves, but taking a few moments each day to celebrate yourself can boost self-esteem and minimize negative emotions like jealousy or envy. Find gratitude for the challenges you’ve faced and the strength you had to overcome them. Be thankful for your health, your talents, your passions. Practice self-care and gratefulness by caring for your body with good food and exercise. Much like the rules on an airplane, you must put your oxygen mask on before helping others, and in other parts of life that is no less true. Caring for yourself, mind and body, and appreciating all that you can do is important. The benefits of improving overall health and happiness by practicing gratitude have been recorded over and over in the last decade[v]. It only takes a few moments to get started and costs nothing, making it a wonderful gift to give yourself this stressful holiday season, and its one that could spread positive thankful thinking out the rest of the year as well. Being generous in spirit, both to yourself and to others is a small and inexpensive way enrich your life and those around you. As another holiday season approaches, with its myriad gift lists, party invites and stress, take a moment daily to practice a little thankfulness. Everyone has something or they can be thankful for, and exploring yours may just make this season a little more pleasant. 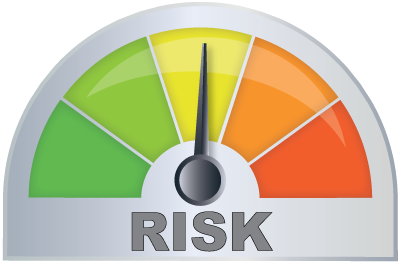 Do You Know Your Risk Tolerance? Click the button below to find out. Receive a complimentary risk tolerance report.